Airbus Defense and Space (the aerospace conglomerate formerly known as Astrium) is considering incorporating partial reusability into future Ariane rockets. The move is believed to be a reaction to competition from SpaceX. Airbus would not recover the entire first stage, like SpaceX, but only the lower portion with engines, pumps, and electronics. Tanks would still be expended. Airbus says the recovered portion represents 80% of the cost of the stage. Building new tanks for each mission will limit the flight rate, however. NASA said “no” to Sierra Nevada’s Dream Chaser lifting body, but Sierra Nevada Corporation is not giving up the fight to build a vehicle that can carry American astronauts into orbit and return to land on an airport runway. 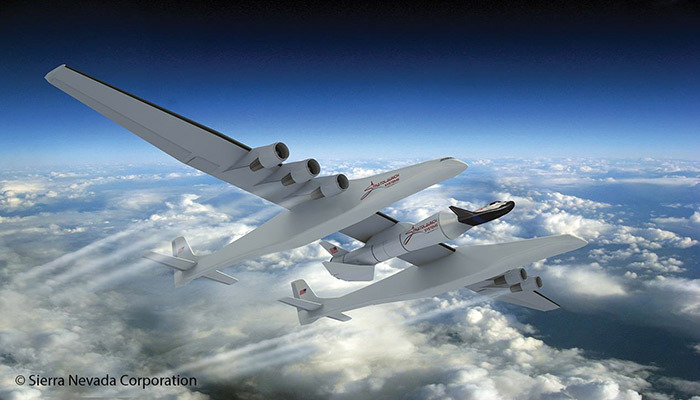 One possible customer for suborbital point-to-point transportation might be the US military. At the beginning of the 21st Century, the United States Marine Corps studied a concept called Small Unit Space Transport and Insertion (SUSTAIN), which would use suborbital vehicles for rapid delivery of special forces to hot spots around the world. In 2002, a USMC “universal need statement” said, in part, “The Marine Corps needs a capability to transport small mission-tailored units through space from any point on the globe to a contingency at any other point on the globe within minutes…. The War on Terrorism highlights the need for flexible, rapid response options to contingencies around the world at their earliest stages. Sierra Nevada is also continuing to market the full-size Dream Chaser. 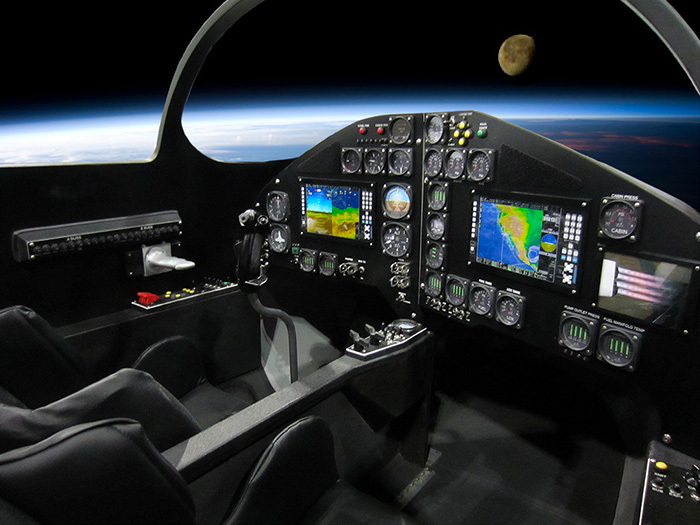 At the 65th International Astronautical Congress in Toronto on 30 September, the company announced the Dream Chaser Global Project, offering international customers a turn-key spaceflight capability including vehicle, astronaut training, and mission support. NASA’s Commercial Crew program rejected Dream Chaser in favor of two capsules, Boeing’s CST-100 and SpaceX’s Dragon V2, in a decision announced on 16 September. Boeing won out over Sierra Nevada even though its bid was $900 million higher and proposal-scoring rules weighted cost as the primary criterion: equal to the other two criteria (mission suitability and past performance) combined. Some observers have suggested that NASA may have made the decision based on “cost realism,” effectively rewarding Boeing for submitting the highest-cost proposal. Rumors say that Boeing, unlike SpaceX and Sierra Nevada, has invested very little of its own money in previous phases of the Commercial Crew program, relying almost entirely on NASA funding. Boeing has also made less progress to date, producing mostly paper, while SpaceX and Sierra Nevada have been building actual hardware. Sierra Nevada has filed a formal protest, which will be evaluated by the Government Accounting Office. As a result, NASA Commercial Crew contracts are on hold until the GAO completes its investigation, which may not occur until January. Sierra Nevada is not betting the farm on a positive outcome of that protest, however. Sierra Nevada’s loss does not really come as a surprise, however. 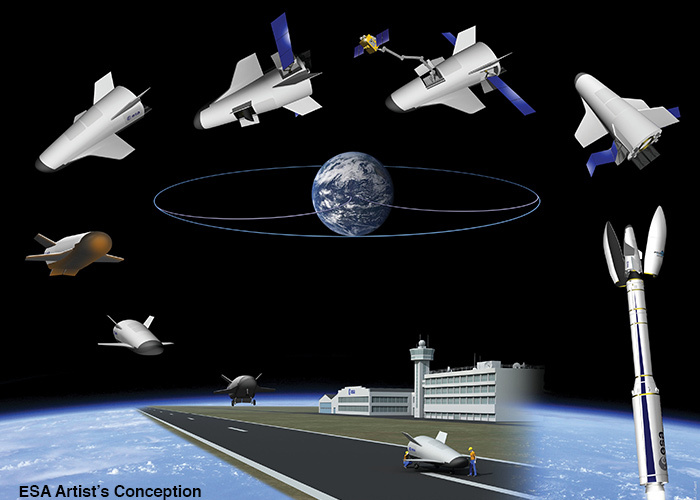 NASA telegraphed its view of Dream Chaser in the last phase of Commercial Crew contract awards, in August 2012, when Sierra Nevada was reduced to half funding. Arguably, the decision was made two years ago and NASA was simply going through the motions this time around. The European Space Agency is preparing for the first suborbital test flight of its Intermediate eXperimental Vehicle (IXV) reentry demonstrator, which may pave the way for future development of a European orbital spaceplane. Ironically, the test comes at a time when NASA has once again turned its back on spaceplane technology in favor of sixties-style space capsules. IXV is a lifting-body vehicle, about five meters (15 feet) long and weighing almost two tons, which will test technologies for autonomous controlled reentry. IXV is scheduled for launch on a Vega rocket from the European spaceport in French Guiana in mid-November. IXV will explore the coupling of inertial measurement units with GPS data and the combination of flaps and thrusters for control in hypersonic flight. It will also test the performance of thermal-protection materials and designs, including thermal expansion, seals, and gaps. ESA hopes that data gathered by IXV will provide a better understanding of aerothermodynamic reentry phenomena governed by complex real-gas laws that are difficult to predict, reducing design margins required in future vehicles. During the test flight, IXV will reach a maximum altitude of 450 kilometers (280 miles). On reentry, it will reach a speed of 7.5 km/s (over 16,000 mph) at 120 km (75 mi). At the completion of the mission, the vehicle will descend by parachute and be recovered in the Pacific Ocean after traveling more than halfway around the world. The next step after IXV could be the Programme for Reusable In-orbit Demonstrator in Europe (PRIDE) mission. PRIDE would perform a complete end-to-end orbital mission and return to land on a runway. ESA sees numerous applications for autonomous atmospheric reentry vehicles, including servicing orbital facilities such as the International Space Station, refueling and disposal of unmanned satellites, microgravity experimentation, high-altitude atmospheric research and Earth observation, and sample return from Mars or the asteroids. ESA is also collaborating with Sierra Nevada to develop hardware and mission concepts for the Dream Chaser orbital spaceplane. Sierra Nevada is marketing Dream Chaser as a space utility vehicle that could serve as a platform for technology demonstrations, construction and repair missions, and crewed or un-crewed scientific missions. ESA is currently working with Sierra Nevada to identify applications of European hardware, software, and know-how, as well as studying a possible industrial consortium to use Dream Chaser for European missions. Following this evaluation and planning phase, which will continue throughout 2014, ESA and Sierra Nevada hope to sign a long-term agreement leading to flight operations. 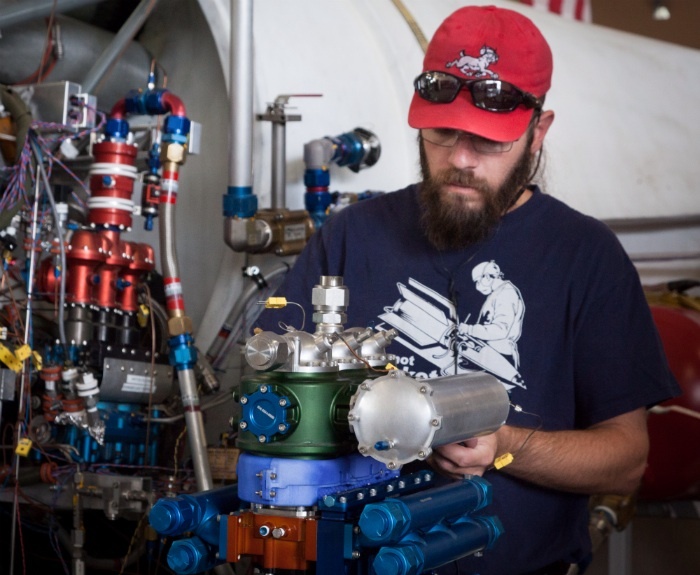 XCOR Aerospace is reporting progress on its path toward commercial space flight. Some of that progress is shown in new photos, which XCOR has publicly released for the first time. XCOR recently completed integration of the Lynx spacecraft fuselage and cockpit, as shown above. 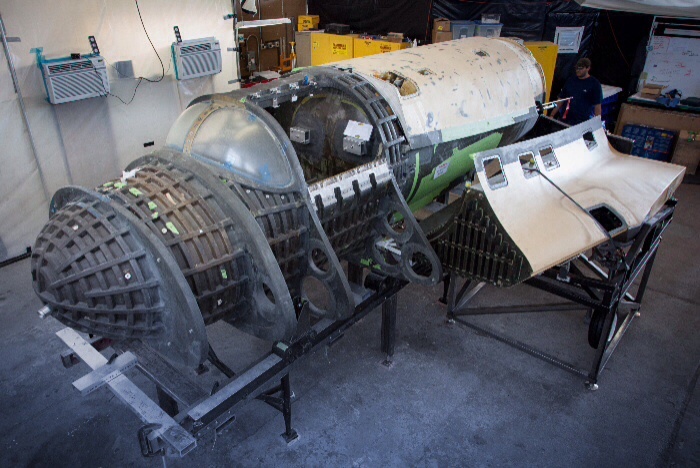 XCOR is currently in the process of bonding the fuselage, cockpit, and wing strakes together. The company is also integrating subassemblies, such as the landing gear, and engine components (shown below). At the same time, XCOR continues to test the Lynx propulsion system, using a non-flight fuselage for cold flow and hot firing. Space Adventures Lunar Mission Scheduled for 2018? Space Adventures will launch its first circumlunar mission in 2018, according to the Russian news service Interfax. Political factors could disrupt the trip, however. The mission would use a modified Soyuz capsule, which would rendezvous and dock with a Russian upper stage. 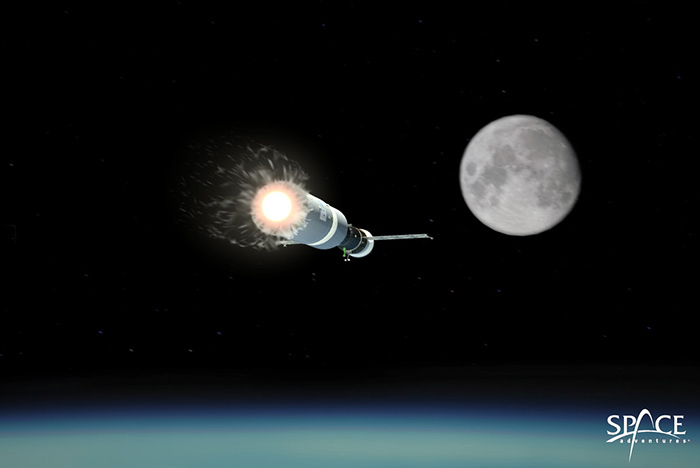 The upper stage would then be used to propel the Soyuz onto a circumlunar trajectory, in a manner similar to what was once planned for Lunar Gemini flights. Before heading to the Moon, the Soyuz crew (Russian cosmonaut pilot and two Space Adventures customers) would spend about 10 days at the International Space Station. This would allow the crew to adapt to the weightless environment, so any problems with space sickness would be past before the circumlunar leg begins. Reaction from Russia has been mixed, however. The Russian space company Energia expressed some enthusiasm for the project. A few weeks later, the Russian Space Agency (RSA or Roscosmos) repudiated the plan. It’s possible that Space Adventures and Energia could carry out the mission without participation from the Russian Space Agency, but the Russian government has recently been asserting increased control over the Russian space industry. The government currently owns 38% of Energia stock but is seeking majority control. In August, Energia president Vitaly Lopota was suspended from his post. Lapota has been under criminal investigation for abuse of office, a charge that is widely seen as politically motivated. The Russian government has announced ambitious space plans which include lunar missions, but Russia has the habit of announcing grandiose plans which are never funded. Even if lunar missions do occur, it remains to be seen if Russia has any interest in cooperating with US commercial space companies.